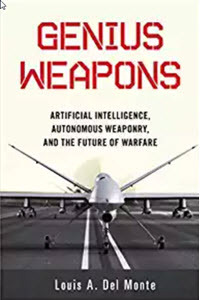 The weapons the United States deploys currently would have been the subject of science fictions just a few decades back. However, the relentless advance of computer technology, as well as artificial intelligence, brought them to fruition. This begs a question, What drives this relentless advance? Moore’s law describes the driving force behind computer technology and artificial intelligence. In 1975, Gordon E. Moore, the co-founder of Intel and Fairchild Semiconductor, observed that the number of transistors in a dense integrated circuit doubles approximately every two years. The semiconductor industry adopted Moore’s law to plan their product offerings. Thus, it became a self-fulfilling prophecy, even to this day. In view of Moore’s law, Intel executive David House predicted that integrated circuit performance would double every 18 months, resulting from the combined effects of increasing the transistor density and decreasing the transistor size. This implies computer power will double every eighteen months, since integrated circuits are the lifeblood of computers. Since computers are a pillar of artificial intelligence (AI), capabilities in AI are also increasing exponentially. What will singularity-level computers think about humanity? 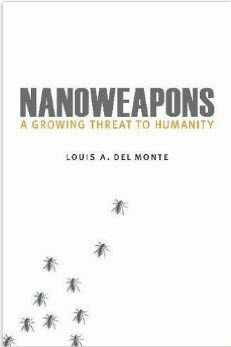 Wars, nuclear weapons capable of destroying the Earth, and the malicious release of computer viruses, mar our history. Will singularity-level computers, alarmed by this information, seek to rid the Earth of humans? 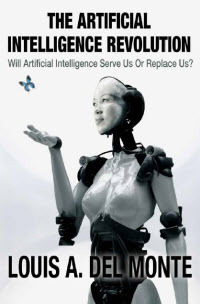 That is one possibility I discuss in my book, The Artificial Intelligence Revolution. By increasing our reliance on computers, in society and warfare, we are increasing their capability to eliminate us. This frames the issue, namely that singularity-level computers may become adversarial and seek to annihilate humanity. However, being aware of this possibility allows us to guard against it. The most obvious path would be to build-in safeguards, such as “hardwired” circuitry, in addition to directives in software. Given the deity-like intelligence of singularity computers, the task of controlling them will be difficult. However, if we fail to do so, we put the survival of humanity at risk.